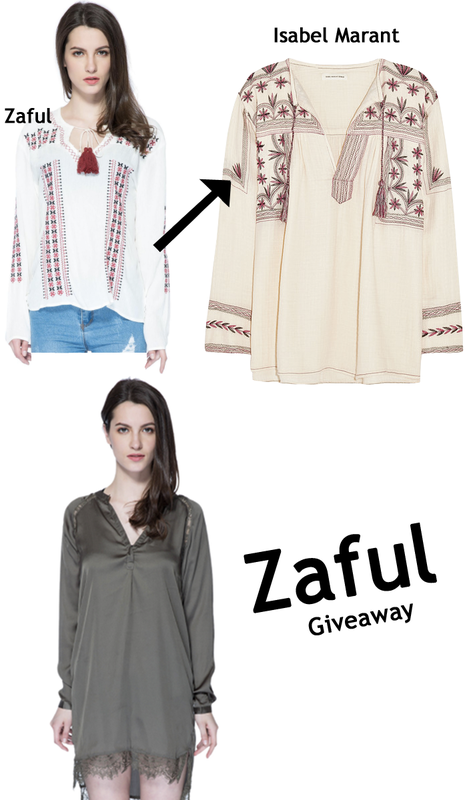 I'm pleased to announce that I've partnered up with Zaful.com to host a giveaway! One lucky reader will receive an Isabel Marant inspired top and a fashionable slip dress. As a quick side note: I'm in shock at the uncanny resemblance between the Zaful top and the Isabel Marant Vicky blouse. To enter, simply follow the instructions listed in the widget below. A winner will be announced next Thursday, 4.9. I look forward to seeing how the winner styles these items.